At the southern tip of the Fleurieu Peninsula the rocky cliffs and granite outcrops of Victor Harbor and Port Elliot subside into a long stretch of pristine sandy beaches. They are the product of aeons of erosion and define the area where Australia’s longest river, the Murray; meets the ocean. 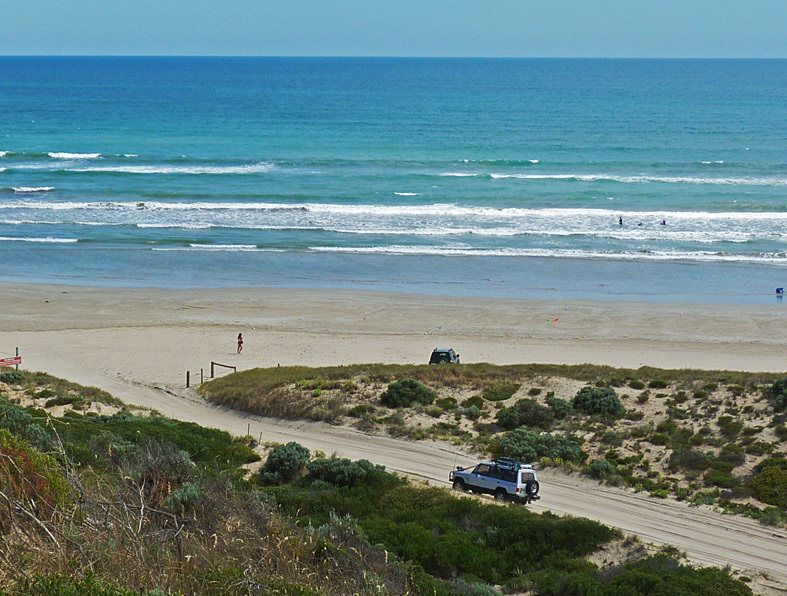 The beach is easily accessed from the old river port of Goolwa and the short 5 Km drive along its length is only possible in a 4WD vehicle, Even then, it is best to keep a close eye on the tide and have a little experience driving in soft, sandy conditions. Over the last few weeks I have made the trip several times to photograph and observe the wildlife that lives along the tidal zone and in the windswept dunes. Twice, I reached the river mouth and once I had to turn back as the high tide and churned up sand made the going a little too difficult for my SUV. 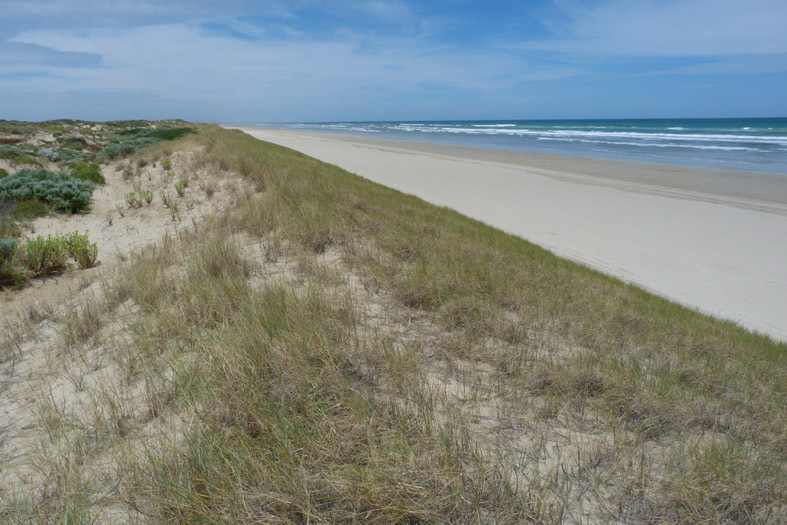 The surf breaks for several hundred metres out to sea along this beach and sometimes you can be lucky enough to see a dolphin or the dark outline of a whaler shark hunting for Australian salmon or mulloway in the waves. 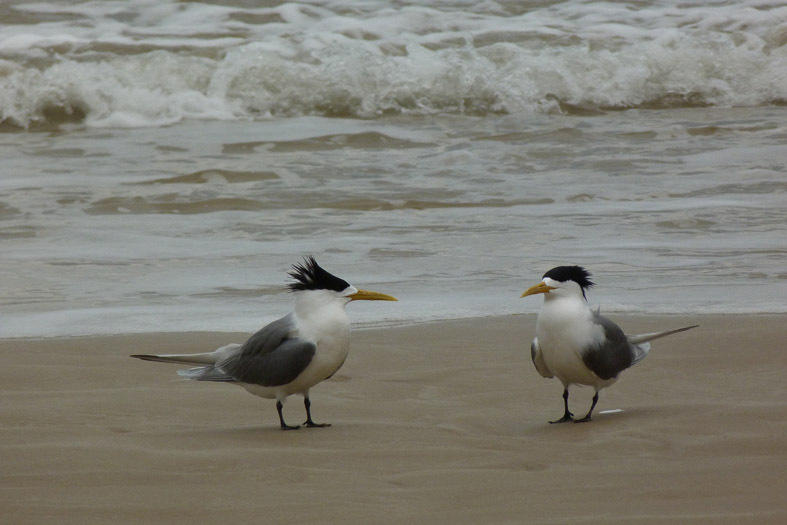 However, most of the time it is the caspian terns that dominate the open ocean as they dive for schools of baitfish or rest on the wet sand ready to set off and hunt again. In the shallow surf break a dozen different species of waders can be seen each exploiting its own niche with its specialised beak and hunting style. Diminutive sanderlings and dotterels race along the sand in between the wave fronts gleaning tiny invertebrates and worms too small to see. 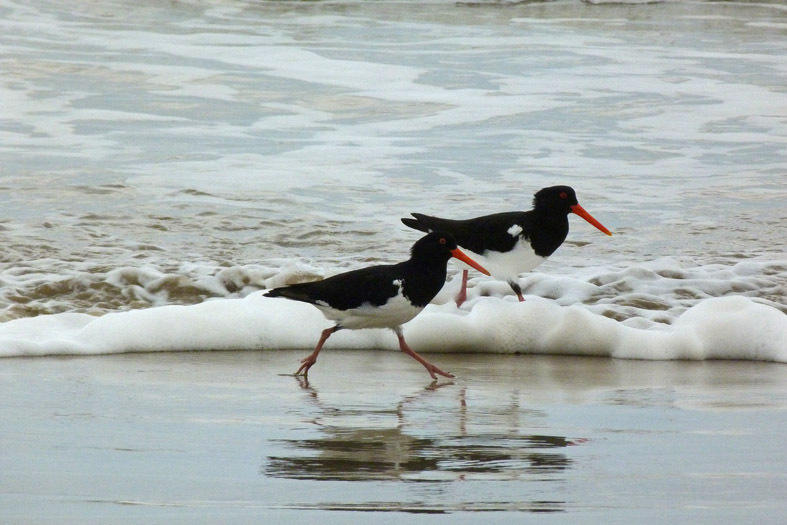 Small groups of oystercatchers use their broadened beaks to dig out cockles and prise them open while avocets use their slightly upturned bills to catch tiny crustaceans and other invertebrates swimming in the shallow water. In fact, what at first glance appears to be an homogenous continuum of beach; is in reality, a collection of micro habitats or niches, each exploited by its own particular species of bird. I hope you enjoyed this jaunt along the beach and stay tuned for more South Aussie adventures.